Published on Monday, March 4, 2013. John Paul Miller, legendary metalsmith, jeweler, and beloved teacher at the Cleveland Institute of Art for more than 40 years, died this past weekend at age 94. Miller, who received the ACC's highest honor, a Gold Medal, in 1994 was known for reviving the ancient Etruscan technique of “granulation” - embellishing a gold surface with infinitesimal spheres of gold - and brought it to the highest degree of refinement in his work, which draws much of its inspiration from the natural world. Born in 1918 in Huntington, Pennsylvania, Miller began working with silver in 1936, inspired by fellow student Fred Miller, with whom he would later work as a studio partner. After graduating in 1940 from the industrial design program at the Cleveland School of Art, Miller spent a tour of duty illustrating tank manuals at Fort Knox, Kentucky. It was in his early years as a professor at the Cleveland Institute of Art that he discovered a text by an archeologist that spurred him to research the technique at which he would become a master. 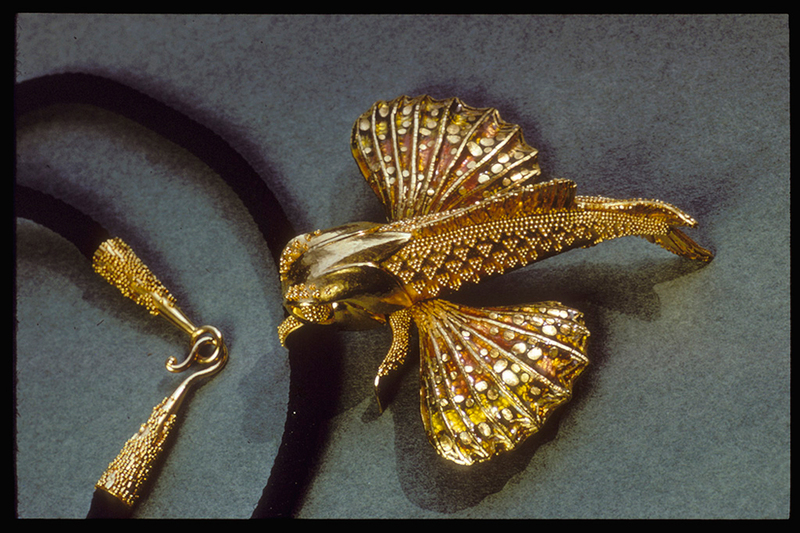 The necklaces, brooches, and bracelets of John Paul Miller most often featured either creatures from the animal kingdom, including spiders, crabs, and other crustaceans, or geological forms. His fine attention to detail, combined with his mastery of the granulation method, gave his jewelry a stunning quality that can evoke both a sense of 1920s glamour, as well as a vision of futuristic avant-garde style. In addition to crafting striking jewelry, he was also known for his skill in filmmaking, photography, and painting. 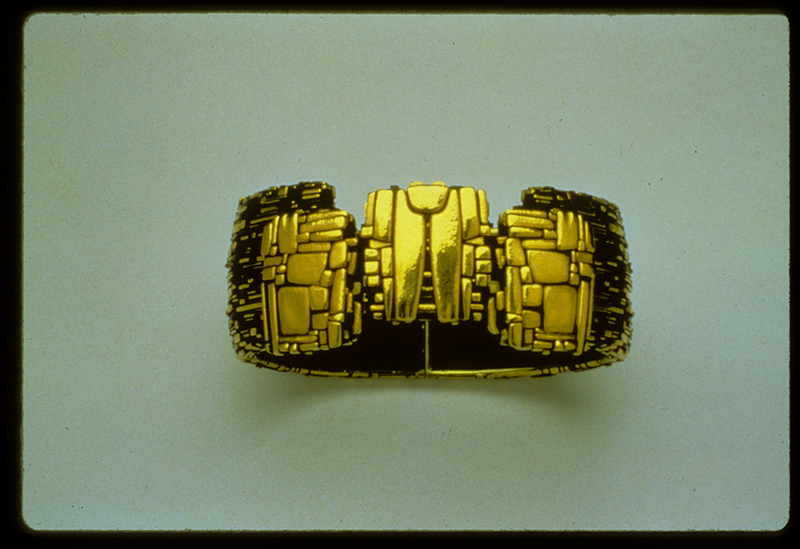 Miller has shown at countless institutions, including the Art Institute of Chicago and the Museum of Contemporary Crafts (now the Museum of Arts and Design, New York), and his works are in the permanent collections of the Smithsonian Institution’s Renwick Gallery, the Museum of Fine Art Boston, Yale University, as well as in many private collections. Miller won the first Cleveland Arts Prize in 1961 and was the 2011 special honoree. He became a Fellow of the ACC in 1976. He received the Society of North American Goldsmith’s prestigious Honorary Member award in 2005 for a lifetime of achievement in the metal arts field. In his final years, Miller resided in Brecksville, Ohio, where he continued to make jewelry and inspire generations of artists long after his retirement from teaching in 1985. 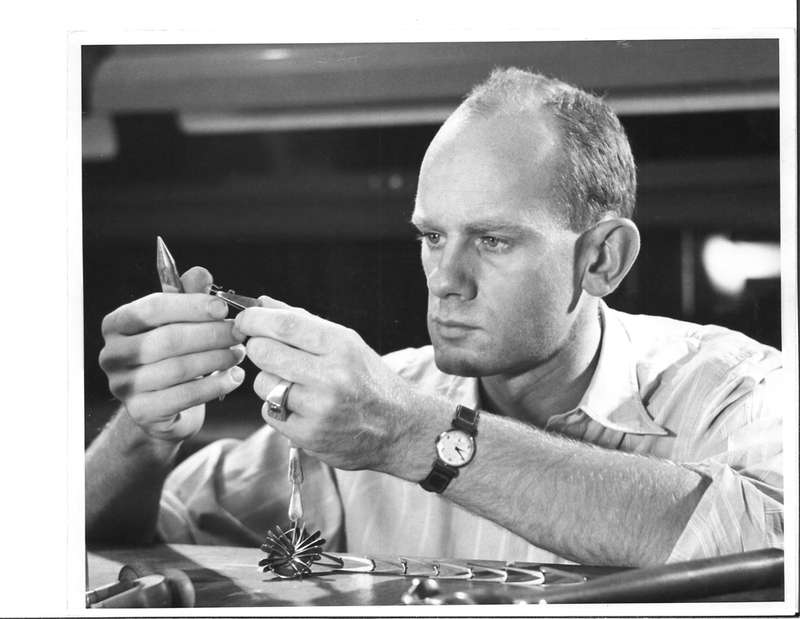 For more information on the life of John Paul Miller, read the transcript from his oral history interview, conducted in 2004 by fellow jeweler Jan Yager for the Archives of American Art's Nanette L. Laitman Documentation Project for Craft and Decorative Arts in America. 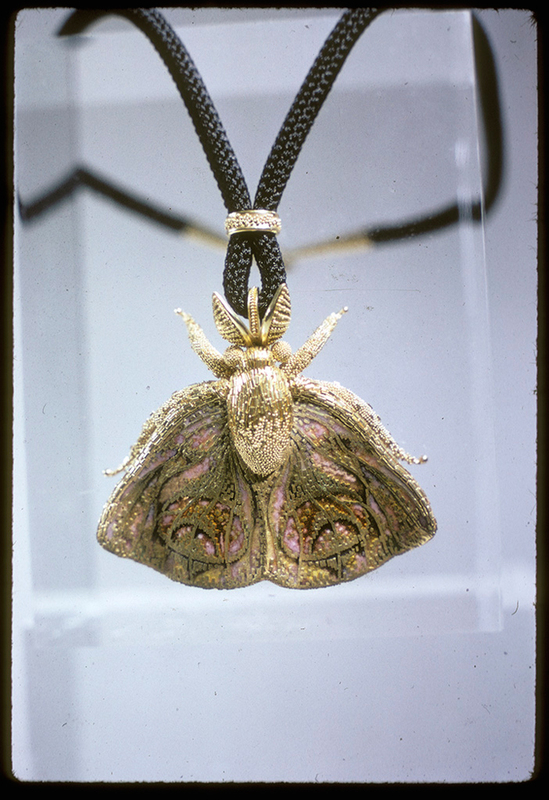 Moth by John Paul Miller; pendant-brooch, gold, enamel; 1 3/4" x 2 1/8"
Bracelet (1984) by John Paul Miller; oxidized 18K gold, pure gold; fused, fabricated; 1" x 2 5/8" x 2 1/8"
Pendant-Brooch by John Paul Miller; 18K gold; enameled, constructed; 2 1/4"